Rory Craig-Barnes – Running. Baking. Preserving. Cooking. Whippets. Coding. The Race That Wasn’t! But Was?! The last few days have been a roller coaster of emotions. As I headed out on Thursday for my big Disney half marathon, the weather was in flux, would it be cold, rainy, or hot? – no one knew. Then the thunderstorms appeared on the radar, not a good thing. This race was both a bucket list item and my last half marathon. It had a lot of build up for me, and a lot of meaning. Side note: Floridians take their thunderstorms seriously, I have learned they are some of the worst in the US. Dangerous to say the least – did you know lightning can travel about 6 miles horizontally when it strikes? Neither did I. By Friday there was high likelihood of lightning according to local forecasts. runDisney was providing updates while they tried to decide what to do. There were 26000+ runners, plus staff and volunteers working the 12 hours prior to make things run smoothly. At 7pm their call was to cancel – I found out on Facebook, I wanted to cry. Later, I did cry a little on a dark bus on the way home. The first thing I did after finding out (and telling my wife) was post to Facebook for people following my updates would know not to get up early. I then put away my phone and watched an amazing fireworks/laser/can’t describe show based on Star Wars. After my quiet cry on the bus I needed to regroup. Around 10:00pm runDisney came out with the options for runners: run the full in 2 days, get a refund, or transfer to another race in the next 24 months. Option 3 was tempting, but I wasn’t sure I could swing another trip. I honestly considered option 1 long and hard – I knew my body wasn’t up for it, no matter how slow I ran. I went with option 2, but I also decided that I was here for a half marathon, I was going to run one. I talked it over with my wife; her crazy alarm didn’t go off and she did ask me to be careful with storms. It was decided. I was up way too late at this point, but I set my alarm for 3:30 am and got to bed. I was woken up by a wicked thunderstorm at midnight, right when the crews would have been out setting things up in wide open places, glad they weren’t out there. I woke up again to my alarm at 3:30, had a Picky Bar (which I *wish* I could get in Canada, they are amazing! ), checked the weather again, and had some water. The weather was still not great, but there appeared to be a rain free, and potentially storm free time between 4 – 6 AM. It was a little close to eating for me, but I couldn’t pass up a window like that. I set up my gels and water on my room table (4 flights up, but right next to my route so it would do), put on my running gear, and started my run. I wasn’t aiming for a PB but I still wanted a respectable time. I was ready to run my 21.1K on a 2K loop at my hotel, every 4K I would run the stairs to my room, hydrate, and potentially take a gel if needed. There were 3 other people out with me (I had read the night before that a lot of people had the same idea). I passed them on my loops, round and round. As my run went on, more and more people joined. It was hot, it was sticky, and I was unhappy. Around 4:30 AM the sky all around started lighting up with storms, though nothing too close by. I kept running, knowing if things shifted I had potential buildings to shelter in ever 1KM on my route. Twenty one point one Km is a long run to do in 2K loops. I bargained with myself to keep running, it also gave me a lot of time to think and process what was going on. One of these revelations was that I was being sulky and not wearing my costume because it wasn’t the “real” race. I (and others) spent a lot of time on that costume. It was a waste not to wear it, and I knew it. I decided that for the last 5K I would wear my costume. I already needed to pop in my room for my last fuel and water stop, so it was perfect. I also needed a boost, I was starting to drag. It was perfect timing really, around 6:00AM the course started to fill up, there were at least 50 people out by this point, there were cheering hotel guests (I assume other runners), even people who were bringing out water and gatorade for the runners. You would think that would make the last 5K a little easier, you would be wrong. It was the worst, it took everything in me, physically and mentally, to get through it. In the end, I did it on my terms. One of the other thoughts I came to was that this was the race that wasn’t, I built it up for myself and it didn’t deliver. But it did. I chose to do it, even when I didn’t have to. I cheered on other runners doing the same thing. I needed to run. I will get my tattoo to celebrate the run, I will make a shadow box, I will tell the story. It is what it is, maybe I didn’t get the full experience of characters, and fireworks, and Cinderella’s Castle. But I will never have that, I have my own experience. I have the story of the only WDW Marathon weekend race cancellation in 25 years. And I have stories of runners, so many runners, all shapes, skills, and sizes who went out and did it anyway. The running community came together (and Disney really). There were runners running at all the resorts (and around Orlando I learned), even some in the parks. At my resort I mentioned that guests were handing out drinks they paid for to the runners and cheering, but the resort staff stepped up and came out with trays of little water cups and handed those out to the runners as well. There had to be over 200 runners at the busiest, and probably 300-400 total as they were constantly coming on and off the course. It warmed my heart, and it is something I will never forget, and that is exactly what I needed, that is what I came for. I didn’t realize when I arrived that I wouldn’t get what I expected, but how often do things go as planned? Author roryPosted on January 11, 2017 Categories Disney, Running, Stories1 Comment on The Race That Wasn’t! But Was?! As we round out 2016 I have had a little time to reflect on the year. Running races got a little out of control (big plans, big goals, big ambition, middling results), but other areas went well. I realize this needs to change for 2017. I will never be an elite runner (much as I may dream of it), but without a focused plan I won’t achieve anything. I did meet some of my goals for 2016, which is a nice thing to do. If I want to meet my goals I need to be more focused about them in 2017. Check! White whale has been beaten! Nope 🙁 Nearing the race I set my A|B|C goals to <=01:45:00 | <02:00:00 | Finish. I ended up finishing under my B goal: 01:57:33, which was also a PB. I left my all out on the course. Run well raced. Check! This one was killed with a 00:22:05, so I had to adjust my fall goals, though I didn’t end up meeting the revised goal. Nope 🙁 Definitely had my races scheduled poorly. That said I ran 00:22:07 two weeks post half marathon, I am confident had I planned things race I could have done it. Check! This one is definitely going well, I have been playing since March, I got my own cello eventually. I am still enjoying it, and improving every week. This year I think I over extended myself – I also didn’t realize that there were some of tendencies I would need reign in. I like to run all the races, and I like to do my best at each. I had 12 races this year, mostly 5Ks, but a couple 10Ks and half marathons mixed in. Had they been properly spaced it might have been ok. 3 of these 12 races were in 4 weeks. while I did very well in all 3, I think it took a lot out of me. I also have an optimist in me during races. In my half marathon I did the first 10K in stellar time, and then fell apart. If I had focused on my plan to run a balanced race I likely would have made it through with a similar finish time (potentially a little faster) and not fallen apart. I know this is a fault that I need to work on. These are my current goals for 2017, I have already started to do some planning so I don’t mess myself up. I am sure I will add more as the year goes on. Continue running near Daily – I won’t beat myself up if I miss a day, but as I noted above, I miss it when I don’t run. Be able to play Carol of the Bells (slowly) on the Cello for Christmas. I tried to learn it this year but it was too advanced for me, even with my teachers help. The mental side of running? Note: I started writing this in April 2015 – and I feel now is a good time to finish it. I think I can further expand on my thoughts (and outcomes). The mental side of running doesn’t really cover it as a title, but that was one of the biggest things I took out of this whole experience. First and foremost, I will warn you, this ended up becoming a bit of a missive – hopefully it will be interesting. There is no research behind any of my thoughts it based on my journey, although I welcome constructive discussion. I have been working through ‘injuries’ for as long as I have been running (7 years). Before that I would say: “I can’t run, I have bad knees.” During many of those years I thought: “Am I a screw up?”, “Am I not built for running”, or “What am I doing wrong”. I researched on the Internet, I got referrals for physiotherapy, I tried everything I thought I could. I tried minimal shoes (which did change my running form for the better), took time off, ran barefoot, used KT Tape, and many other things. Twenty-fifteen would turn out to be a very different year. I went for a complete reset, I stopped running completely in November 2014 not knowing when I would start back. I started with an ambitious plan in January 2015 – I would run (or walk) with the sole purpose of exercise once a day, every day for a year. Walking to/from the subway wouldn’t count, nor would other daily required walking. My plan was to slowly build up from 1km runs every day to (by the end of the year) 10K X1, 5K X1, 2K X5. People gave me strange looks (and I am guessing assumed I wouldn’t last long). I wanted to do this to avoid what I thought was my predilection for over training. As of posting I am at day 721 – which surprises even me. I have been sick, it has been -27C before windchill, it has been pouring rain and 3C – I run at 5:30AM most days (dark), I admit I have done walks or walk/runs for a few days, but I don’t consider that defeat – I got out there with a specific purpose and I did it. The defeat I did run into was that, even with this very slow training, as I upped my “long run” I started getting the familiar tightness around my ankle, and pain around both knees. It was frustrating to say the least. In March 2015 I was flipping through the Running Room Magazine (http://viewer.zmags.com/publication/ccac84aa#/ccac84aa/24) March/April Issues and came across an IT Band article by Dr. Reed Ferber – it had some interesting points, and a pitch about their 3D Gait Analysis – I thought it was a lot of it was voodoo magic/marketing speak. I found a clinic in Toronto that did the analysis and setup an appointment. I still believe that it is a little marketing speak, but the 3D Gait analysis wasn’t all I got. For the tear inducing amount of money (woo insurance), I also got 2 hours with a very smart, well read, and practiced physiotherapist. That is what I think made the appointment worth every penny and every minute. I still work with him to this day (almost 2 years later). After talking for ~30 minutes, he had a good, (and I think) honest history of me and my running. He was optimistic after that, where I always felt defeated. He noted I was doing some things right, many things even. He pointed out that I had already successfully run a half marathon (and countless other races), showing that my body can handle solid training (I was training 5 days a week one summer, upwards of 50KM/week). There were areas I was weak in. Some had been mentioned before, such as my hips being weak – which is a big thing. With that he dispelled a lot of the other things other physios had told me were wrong, which they never really had hard facts or compelling reasons to argue – they were grasping for straws. This time around I got solid theories and research as to why the current diagnosis was correct, and why the others were likely wrong. We also got into a discussion about mental vs. physical pain – how much of what I was experiencing was mental pain that my body could handle running through and how much was true physical pain that could cause damage. 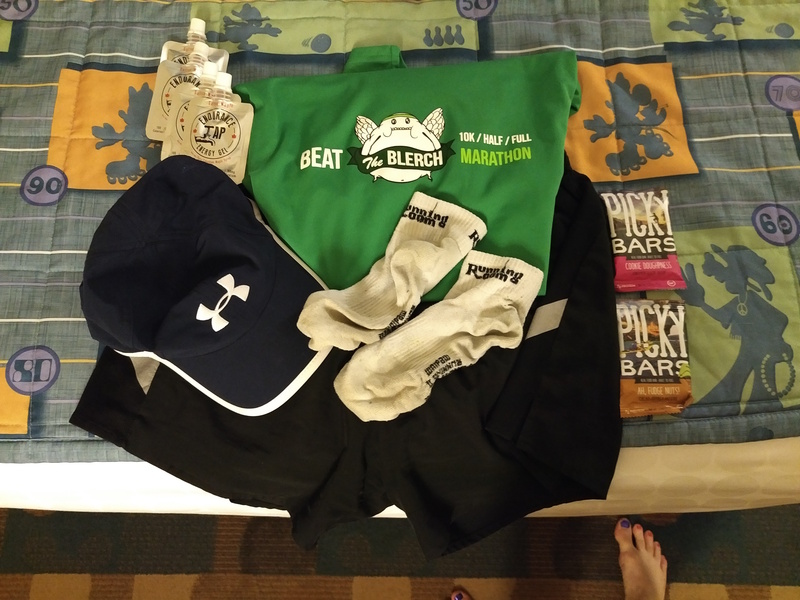 Questions about stress and pain were posited, sleep patterns, we even (briefly) discussed the quirk that some of my best long runs were the morning after having a drink or two (I’ve since met many others who have noticed this.) As I said, there was a lot of honesty on both sides, and there time to feel things out and discuss them. Who knew there was a mental side to physiotherapy 🙂 This was my biggest take away from this whole thing, and I still struggle with it 2 years later. Is it mental, or is it physical – how do you tell the difference. The actual 3D gait analysis is pretty damn cool: sensors, cameras, and a treadmill. Once I was suited up I ran normally for 5 minutes or so to let the computer record things, and to do some visual analysis on my running form – it turns out my form is actually pretty good – I strike on in a very ‘barefoot’ way, front of my feet, legs vertical as they hit the ground. After a short discussion I got a second set of readings, this time with some adjustments to my form for comparison (the biggest change: moving to a more mid-foot landing). In all I think I was running for 10 minutes – that gave enough data to discuss. From there we looked at the comparison of my stats between the two different styles of running and focused on areas I can improve/tweak to start sorting things out. I have a short term action plan: exercises for my ankles and knees (to start to remove some of the mental and physical blocks), temporary modifications to my gait to sub in slowly (to help fix the pain I get in my preferred gait), and changes to my run formats also to get my legs used to different movements. In the end my runs are feeling better – I still have issues, but I feel like a superstar doing my funky workout. I also have hope and optimism that I might be able to complete the half-marathon I dropped out of (before I even started) last fall – which was fine, but it still annoys me (edit: I completed that half marathon in 2016, beating my B goal time of 02:00:00, I missed my A goal time). I think it all comes down to honesty, with myself and with others – lay it all out there, lose the pride, and get it fixed. Most people want to help, especially the skilled ones. I know I will never be an elite runner (though I still hold out hope :)), but maybe I will finally reach my goal (until now, an unspoken goal) of running a 50 minute 10K. I left that last line in from the original. A little over a year after I originally wrote it (April 2015) I smashed my 2015 PB of 00:56:07, with a new a PB of 00:48:39 (June 2016), three months later I further dropped it to 00:46:26 (Sept 2016). I have built myself up to a regular week of 10-15K X 1, 5K X3, 2K X3 – I have hill days, tempo days, easy days, and recovery days. I am taking it slowly at the moment, I’m not at those numbers – I will be again in the new year. There are so many parts of this post that I really want to discuss in more depth – some of them require more honesty than I am willing to put out on the Internet, I’ll get there. I hope you found this long post interesting. Maybe I should put myself out there more in 2017 and discuss these topics. I would run 500 days? I came home from my run this morning and I was looking over my stats when I realized this was my 500th day straight of running. When I started in 2015 I figured I would do my best that year, miss a few days, and move on to something new after the year was over. That did not happen, if anything I am more dedicated to this now than I was at the start. I’ve run on two continents, four countries, and I don’t know how many cities (at least a dozen) over the last 17 months. I’ve run in -30C, blizzards, torrential downpours, +40C, and everything in between. I’ve run while sick (not badly – head cold), though interestingly I haven’t been super sick since I started this. I’ve run exhausted, and I’ve run hung over – it is all part of the journey. I’ve crushed my PBs for 5, 10, and 21.1K. I’ve run 8 races, with 8 more already lined up until Jan 2017. This has been both a physical and emotional journey for me. I’ve had help and support along the way. My wife has been encouraging (and puts up with the gross that is running gear), I found a physio who is part mentor, part coach, and most of all a down to earth physiotherapist. I’ve learned a lot about myself, I’ve pushed limits that I didn’t think I would ever get close to. Yet I am still loving it. There is still more to learn, more to do, and more to enjoy. I don’t think of my running as a chore any more. I can tell when i am running too much, or too little. I can tell when my body needs a break, and I listen. Even though I still run, I reduce the distance and speed to let me body catch up. I have also made new friends, and joined some running groups. These have been important in showing me there can be a good community found in runners. If you’re in Toronto you really should check out RunToBeer (http://www.runtobeer.ca/) they are a motley crew that enjoys running and beer. My running is for me, it has helped me grow as a person, and I hope I can continue doing it for years to come. I know I am not the first person to go on a run streak (there are people who have been doing it for 30 years), but it doesn’t make this any less of an accomplishment for me – it is my first time. So this happened a couple weeks ago …. I signed up for the Half Marathon – none of the crazy races. Now I am on a mission to figure out where to stay and how to get there – but I definitely have my entry into the race. Me and over 26000 other people. Not really sure what i have gotten myself into, but i am excited because Disney and running. Yup, it had to be done. I ran my second real 5K race of the year this morning and I clocked in at 00:22:05 which, if you recall, is 5 seconds short of my goal for the year. Amazing for me, I shaved 51 seconds of my last PB from January. Terrible for motivation for the rest of the year. I am leaving my half-marathon goal time a 1:45:00, a short 5K race is not an indicator that I will improve my 1/2 time. Running silly fast for 5K is more will power than anything at this point. A related update, my trying plans have changed a bit as well. I have lowered my distance for my ‘rest days’ and at the advice of my ‘coach’ (aka my awesome physio/mentor) I am going to peak at 15K as my average run for most of the summer with a couple 19 or 20K runs thrown in to prove to myself that I can at least finish the distance still. My previous training plan had me hitting and surpassing 21K a couple times before my race – this would put me at risk for injury for no real gain. On to my second run of the day, as if getting a PB wasn’t enough? This is a fun run with the RunTOBeer Crew, there is promise of Beau’s at the end and it is always a good time. 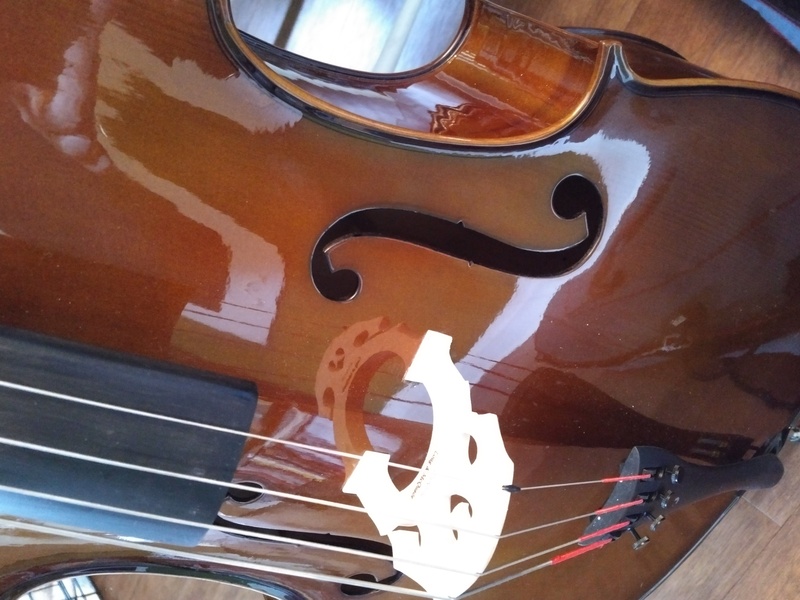 I finally got up the gumption to rent myself a cello, and get myself some lessons. I am quite excited. I have scheduled time to practice most days of the week. though I want to make sure I don’t over do it. This wasn’t on my goals for the year, but I think that is ok. I have toying with the idea of learning the cello for many, many years. That an hour of practice would pass so quickly. I definitely need to do some finger strengthening and I really want my calluses to develop faster they are tender … I am sure you will hear about this more as the year goes on, dear reader. Why does setting running goals feel like throwing darts? I set a goal to run a sub 00:24:00 5K by June, which I thought was reasonable, ambitious even – I had gone through what I thought was a lot of beginners gains in the last year, I thought they were due to end. Apparently not. I ran my first 5K of the year (the MEC races are great, if you haven’t tried one yet), I finished with a chip time of 00:22:56.8 (gun: 00:23:00.8) which smashed my last PB of 00:24:10. I have another 5k Race in March on a different course, I’ll regroup then to see if I need to set new goals. The other night I was chatting with a friend who wanted to get into running this year. She asked what my goals were for the year, as I typed my response they magically appeared. It is funny how easily they came when I had express them to someone else. Below you will find the ones I told her with some clarifications and improvements. I think these are fairly ambitious while attainable. I will be running around 34KM/week to make sure I am ready for this with a ramp up to45KM/week for the 16 weeks before the half-marathon. For fun this year, in addition to continuing to run every day, I am going to bake my way through The Bread Baker’s Apprentice. It was nice having something to focus my attention on over the course of the year. A bonus? I learned a lot. I already use this book regularly for some things (cinnamon buns & pizza dough), and I have baked a random assortment of things out of it, but I also have avoided some of the recipes out of fear. Not this year; I will only be skipping recipes I have regularly made since I know I can do them with ease. There are ~30 recipes in the book, so my aim is to bake something every other weekend, once I take out the ones I am allowed skip. As I write this I have the first recipe, Anadama bread, on its second rise – it looks delicious – I’ll write more about that soon.